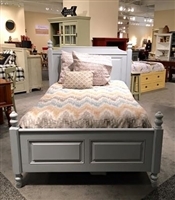 HEPBURN REEDED BED.AVAILABLE IN QUEEN,CA KING,EASTERN KING SIZES. CAN BE ORDERED IN 20 DIFFERENT FINISHES. SIZES.CAN BE ORDERED IN 20 DIFFERENT FINISHES. MONROE BEDROOM AVAILABLE IN TWIN,FULL QUEEN,CA KING AND KING SIZES. AVAILABLE. (INSPIRED BY A POTTERY BARN STYLE). 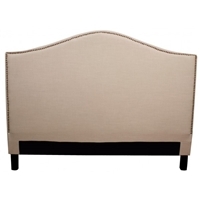 CHLOE FABRIC HEADBOARD.AVAILABLE IN QUEEN,CA KING AND EASTERN KING. 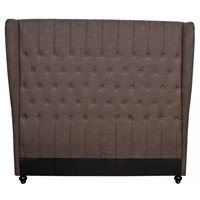 ALICE FABRIC HEADBOARD.AVAILABLE IN QUEEN,CA KING AND EASTERN KING. THE CITY BEDROOM COLLECTION.AVAILABLE IN QUEEN,CA KING AND EASTERN KING. CAN BE ORDERED IN 20 DIFFERENT FINISHES.CUSTOMIZATION IS AVAILABLE. 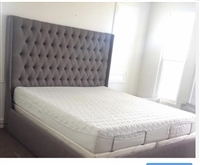 MONROE STORAGE BED SET.CAN BE ORDERED IN 20 DIFFERENT FINISHES.CUSTOMIZATION AVAILABLE.IT CAN BE ORDERED IN QUEEN,CA KING,KING,FULL AND TWIN SIZES. HEBPURN BEDROOM COLLECTION.CAN BE ORDERED IN TWIN,QUEEN,CA KING AND EASTERN KING SIZE.AVAILABLE IN 20 DIFFERENT FINISHES.